This page is a paradox because even though it says it’s About YOU, the site owner, it’s not really. 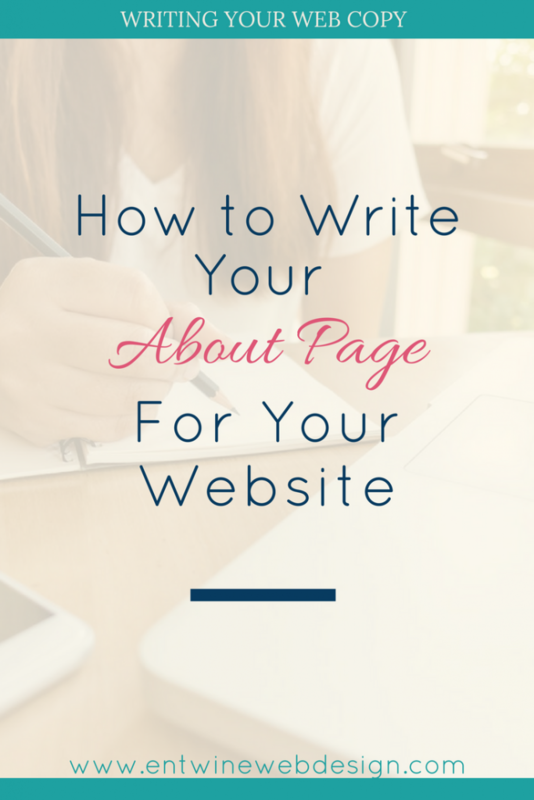 It’s about your visitors and how you can help them, which can make writing an about page a challenge. How do you write about them when it’s about you? Focusing on your visitors on your about page may seem counter-intuitive, but it’s the truth. Think about when you visit a website’s About Page. You’re looking to see what they’ve experienced, what they do, how they can help you…right? Yes, and in order to help you, they need to show you that they understand, at a deep level, where you’re coming from and what your problems are. This process means that you need to understand both your own story AND your client’s problems which is where the work you did identifying your ideal client will help you immensely. This isn’t about being shmarmy and lame in a “yes, I get you” kind of way that is sort of creepy, but you don’t want to come across like this guy either. The top of your About Page is also NOT the place to focus on you and share your love of all things Disney or your coffee addiction. There might be a place for that, but it’s not at the top of a key page on your business website. To get the balance right between you and your clients, you gotta dig deep, understand WHY you’re doing what you’re doing, and communicate your soul level belief that you can help someone. And you can help them. So, focus on that! First, write the answers to these questions by hand. Writing by hand activates different areas of your brain than typing does, and it actually stimulates your creativity! Grab a piece of paper or open a clean document on your computer and write your story. – What brought you here, to this place, launching your beautiful business? – Why is it important that you get your work out into the world? You may or may not use any of these words on your About Page, but I’m guessing you will. When you dig deep, and reach an authentic place within, those words will resonate with your readers. Describe his/her biggest problem. How do they feel? This doesn’t have to be a deep, earth shattering problem. If your business is walking dogs, then their problem is that they feel bad that they don’t have time right now to walk their beloved pet! Whatever it is, get in their head and describe their problems in as much detail as you can. Finally, get another sheet of paper. You’ve got a client, who’s got a major problem that they want solved. How will you get them from the pain of their problem (point A) to the perfect solution (point B)? How will they feel after their problem has been solved? You’ve actually written all of your copy while you answered the above questions. All you’ve got to do at this point is to organize it in such a way that it resonates with your clients. And that’s where we’re going to start, with your clients. They are at your site because they’ve got a problem that they want solved. They found you, and they’re hoping you’re their answer! Thankfully, you are the answer. First, a description of their problems and pain points. Second, you’ll add the copy you wrote in step #3. Give them the solution. And what’s the solution? Hiring YOU, of course. What about all of my education and credentials? Where does that go? First, you need to decide how important they are to your clients. I get that many women (myself included) tend to focus on getting all of the right education and credentials to give themselves credibility, but often this is more about the entrepreneur than the client. Certainly, a small professional bio box at the bottom of the about page might be appropriate, especially if your education and credentials are specifically linked to what you do. I chose not to add that though I have tons of education. Do you, as someone who wants a website, care that I have an M.A. in the Humanities with an emphasis in American Lit? Or that I’ve taught English and Psychology for years? Probably not other than to know that I can edit the hell out of any copy you send me! My education and experience are KEY to what I do now in terms of breaking concepts down and teaching them to my clients (like in this blog post), but the actual credentials don’t matter so much. Before you fill your About Page with a wall of amazing credentials, think about if those matter to your client? Or, is that your ego and your fears talking and wanting to ensure people that you are super qualified? (Which I am SURE that you are). Is this the only way to write an About Page? Of course not! But I want you to keep in mind that when people are on your website, they’re there because they need help. They’re worried about themselves, so honor that in your copy. That’s the paradox of the About page. It’s about them as much as it is about you. If you need some inspiration, visit some About pages of service providers around the web. You’ll note that while they may not follow this same order, they’ve all got these same pieces. This post walks you through how to break down the copy on other sites, NOT to copy it but to see what’s working, so you can apply those same strategies to your own copy writing. Jenny Shih – Let’s break Jenny’s About page down. She starts by talking about her clients problems before introducing herself and explaining exactly what she does. She does NOT share that she’s a dog loving coffee drinker (I have no idea if she is or not). ALL of the copy on this page is completely focused on her business. She very specifically describes her strengths (she’s insightful, strategic, and efficient). And then, she slides in her personality traits with referencing her INTJ personality type. I like that because as an ENTJ (and psychology fan myself), that little detail lets me know that we’ll relate to one another! Finally, she begins to tell her business journey which is a really interesting story. She doesn’t start with her story though, she starts with describing her clients before she transitions into talking about herself. She uses headings in a different color which make those lines stand out. These headings also work well as transitions into each section. This is a long about page, but I find her writing and her story compelling. She’s a communicator and this longer page style works for her. Laura Roeder – Meet Edgar, social media management – this one’s a bit different as it’s the story of how a business started. Laura Roeder started as an online social media service provider but then build a software application. So this page is really more of a corporate about page, but she does a great job with telling the story of the business. Danielle LaPorte – this page is structured quite differently than the others as she’s not offering her services. Instead, she has links to her speaking and media kits, so it is more about her. She’s also got great voice that really “goes” with her brand. As with any page on your website, you’ve gotta break up the text! Nobody wants to read walls of text. 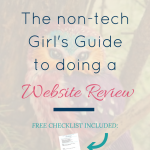 Check out the examples that I shared above and note how the text is broken up with headlines in different colors, sections with quotes and larger fonts, images, short paragraphs, bolded lines, and bulleted lists. You’ve got this! 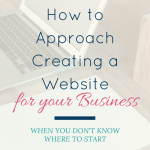 You have a story and a reason you are starting this business, and your about page is really where you get to share it. Remember as you look at other about pages online, that your goal is to let your own light shine, so while you can follow the structure of other people’s amazing pages, do NOT take their words. They have their story and you have yours. What are your favorite About Pages that resonated with you? What did they include that struck a chord? I’d love for you to share any favorites in the comments below, or even share your own beautiful page!